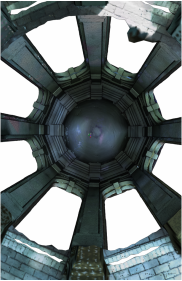 Terrestrial Laser Scanners produce a dense cloud of points which are highly accurate to within several millimeters, providing an excellent framework for modeling real world structures or topography. 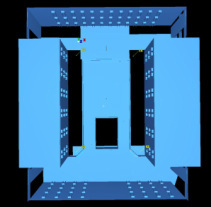 Point cloud modeling refers to the connection of the millions, or sometimes billions, of points in a point cloud, to create a continuous surface. 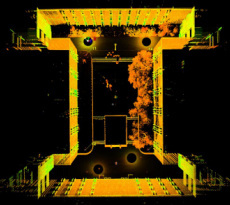 Turning a point cloud into a model provides precise representation of structures, greatly reducing file size, and increasing the flexibility of the survey between software programs. Here I explore two different types of point cloud modeling: one which uses a series of planar surfaces which are "fitted" to the point cloud (Leica Cylcone), and the other which uses triangles to connect the individual points of the point cloud and a surface estimation equation, to represent objects that have been scanned (3dreshaper). The Geography department and the Terrain Analysis Lab are both housed within the Brewster building on East Carolina University's campus. Its convenient location and unique but simple architecture garnered my attention as a modeling project. 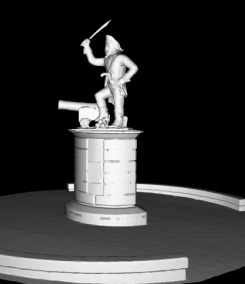 A Leica C10 laser scanner recorded points at five separate scan locations. Scanning resolutions varied between 2-2.5 cm at 10-25 meters. 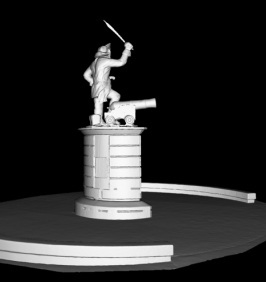 Four Leica High Definition Survey Targets were used to register the five scans into a single cloud of points. Registration error was 0.002 meters. Cyclone 7.1 was employed for modeling. 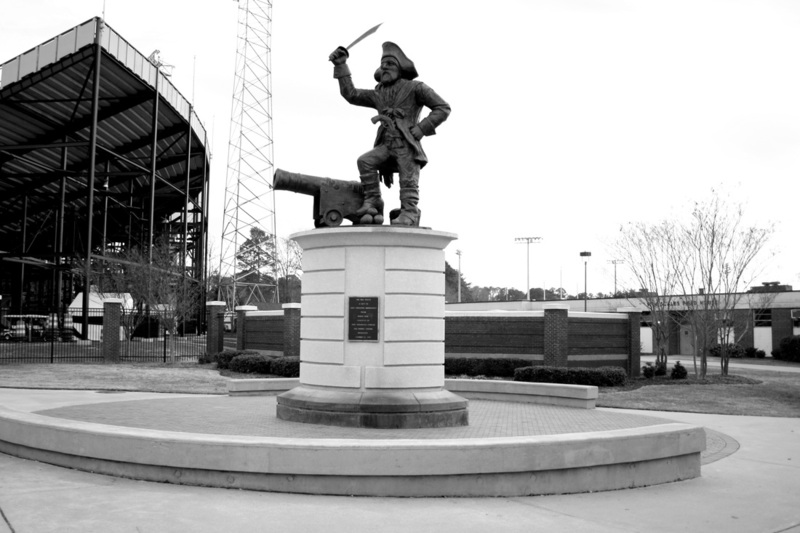 The Cupola is the most well known structure on East Carolina University's campus. Its fame lies in both it's architectural appeal and history as a landmark on campus. 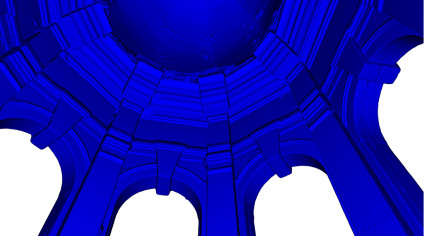 We scanned The Cupola because of its merit as a preserved structure and also because of its well recognized structure for modeling.